What is your internet provider? I recently purchased a wireless N router. This november my ISP also doubled their speed. 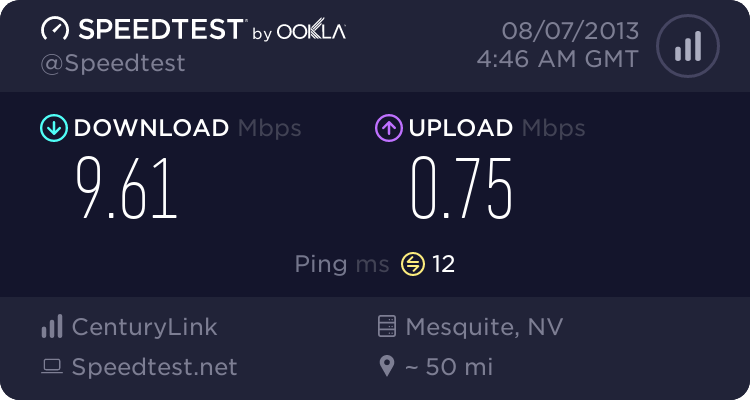 With no more bottlenecking on wifi G as I was before, my current internet speeds look like this. 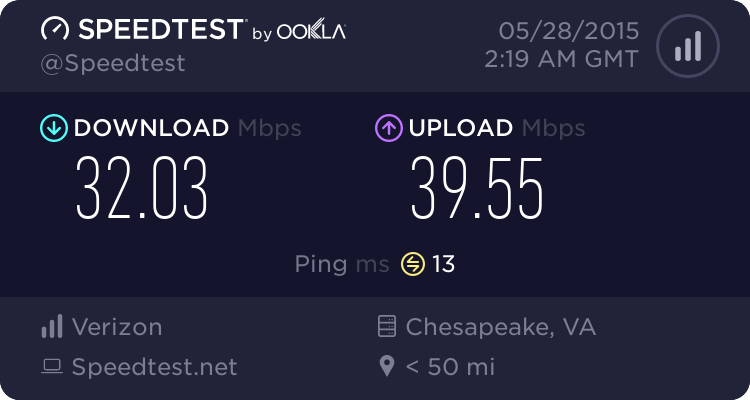 The college campus provides my interwebs. Fiber optic is the *****. Stupid At&t. Y U NO go faster! Rogers... slow uploading is slow. EDIT: I don't know what this means. Is it good? Last edited by Squirtle102; January 26, 2012 at 06:58:11 PM. This is just a horrible connection in my opinion. 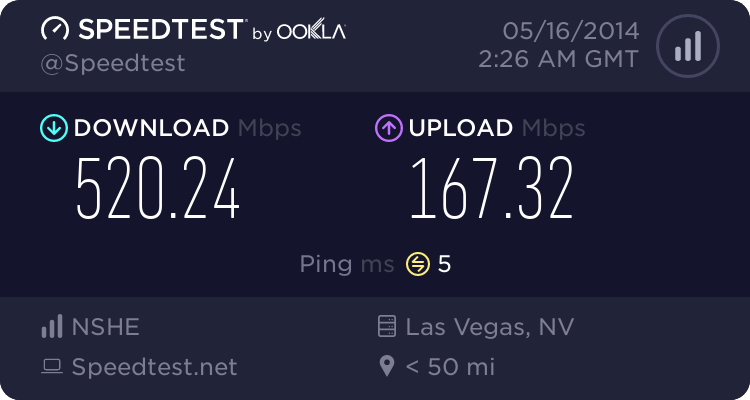 Better than before and fast enough for my typical needs. 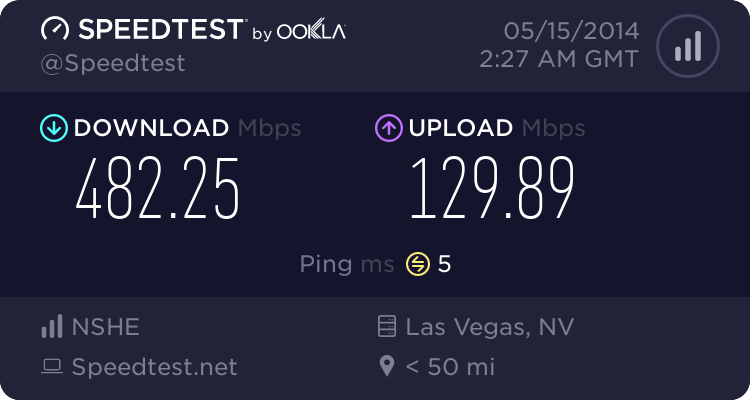 Love the insanely fast ping time, and that's over Wi-Fi. Last edited by Cat333Pokémon; August 6, 2013 at 08:52:10 PM. I haven't actually shared mine yet. That's not bad I'm pretty far from my router right now but it could be a lot worse. Last edited by Magmaster12; August 6, 2013 at 09:04:32 PM. Half a gigabit. I swear that's real. Last edited by Cat333Pokémon; May 14, 2014 at 06:31:51 PM. Last edited by Dragonite; May 14, 2014 at 07:13:15 PM. Last edited by Magmaster12; May 14, 2014 at 07:15:09 PM. 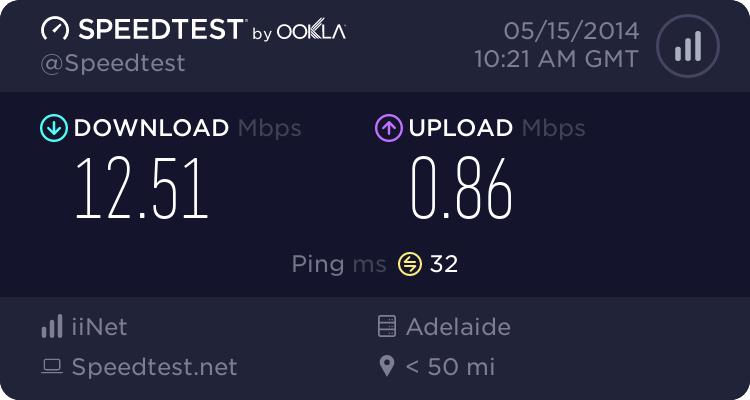 Only problem is that it frequently disconnects, slowly getting better though. Last edited by Music; May 15, 2014 at 02:24:25 AM. 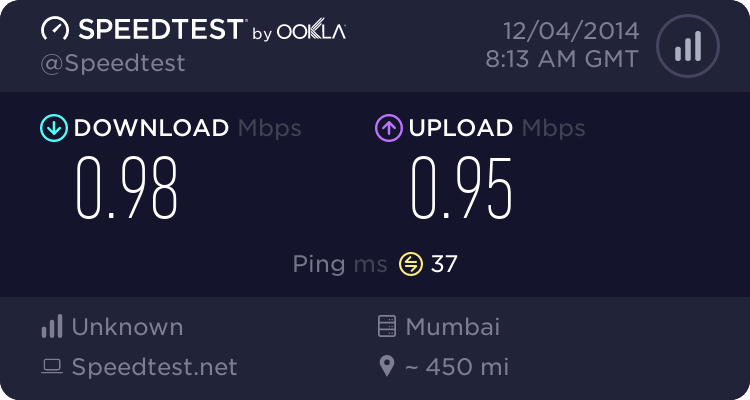 Yeah, the download speed at my mom's house is a bit more realistic, although that upload speed is atrocious. My laptop has been having some wireless issues lately. I decided I would give it another go. 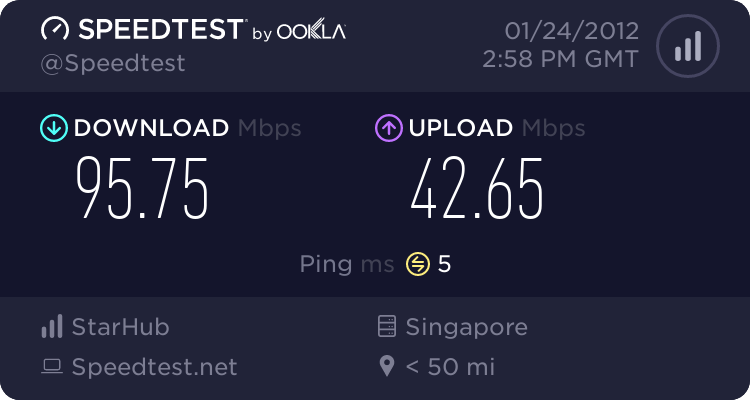 After a few latency test errors, I finally got this result. Not bad, but could be better. We may be switching to Google Fiber later this year. and this is at home. I'm actually quite surprised it's that good. Update: Over half a gigabit today, and over 167 megabits up. My home has pretty standard internet connection. It pisses me off that it's unstable as hell though. 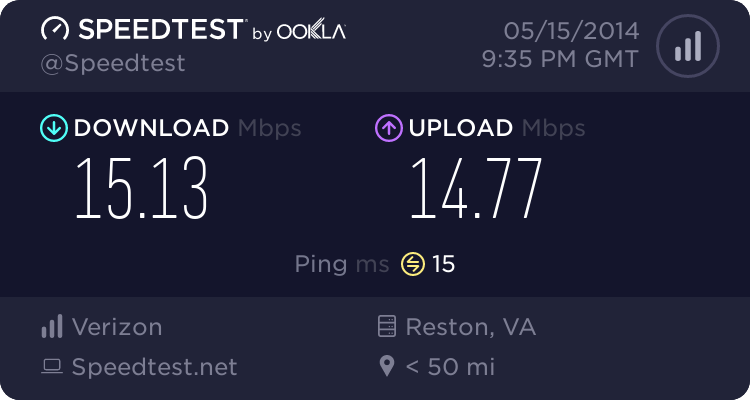 I'm currently the only one in my house not plugged in via Ethernet, and yet also the only one who uses the Internet for purposes other than Wikipedia and occasional YouTube videos. Ironically, it was pinging out of Dayton, and I live near Akron, which probably explains the poor letter grade, but that's fine. 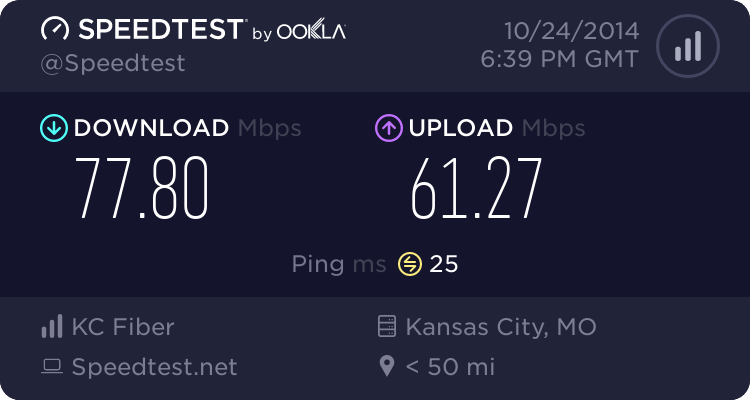 I'm quite satisfied with CenturyLink. Last edited by Seiji J. Konokama; June 18, 2014 at 10:48:38 AM. 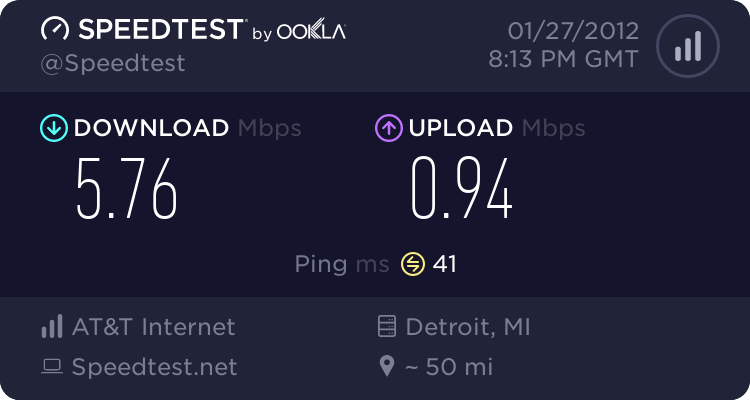 I should only be getting 5 Mbps. This new one from the campus library makes the last one look like nothing. 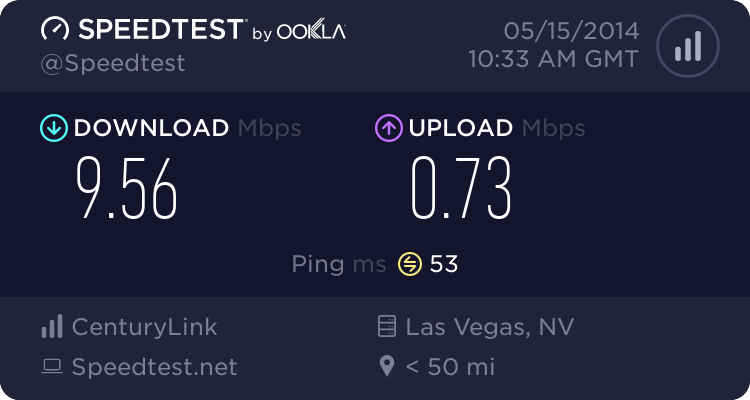 For some reason, I get higher speeds out of Los Angeles than out of Las Vegas. 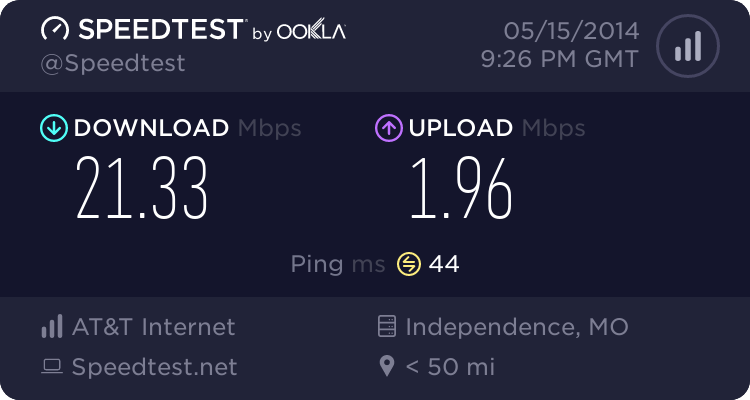 It's weird, my reported speeds have returned to normal but I can still only watch YouTube videos in 144p and Steam is horribly slow for anything and everything. Are you from the future or something? Last edited by Dragonite; October 24, 2014 at 01:03:13 PM. And back to Dad's house. It most likely is some kind of fiber network, but as I said, it's a university network, and I tested it rather late in the evening, when there weren't many people online. Um, this is normal . . . right? 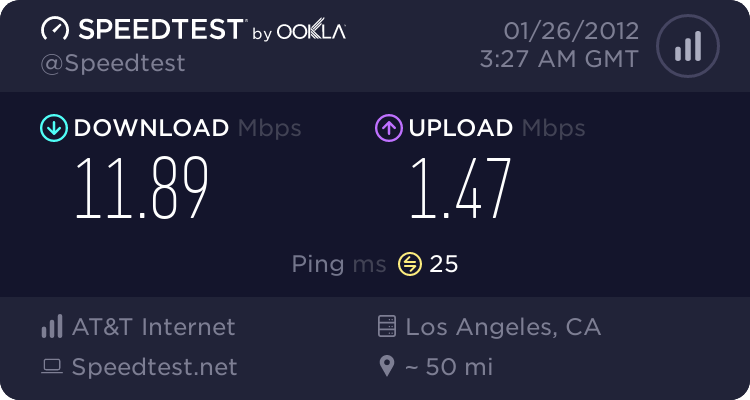 My 3DS doesn't seem to like the speed test site much for some reason, but I made it race my computer to load a Wikipedia page and the 3DS blew it out of the water. Think I'm going to spend the night reading tech support forums . . .
Last edited by Dragonite; December 2, 2014 at 04:18:40 PM. This was the first result I got, which is horrendous to say the least. It took seven seconds to attach this 31 KB image. We've got some serious noise problems on our DSL line, so there has been a lot of trouble getting it to work properly. 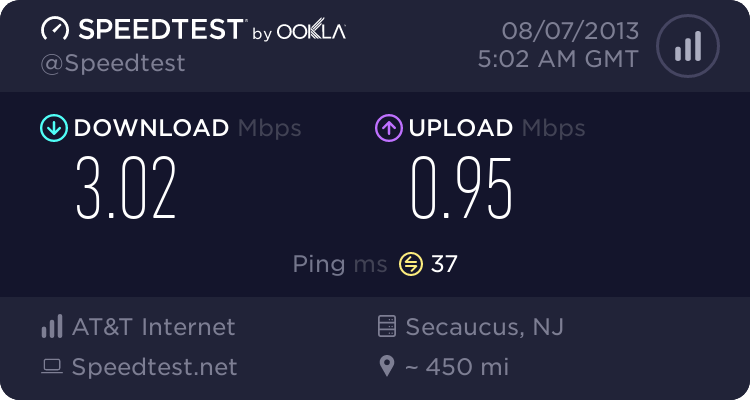 And yes, those are kiloBITS, not kiloBYTES. Another go after we were upgraded to fiber. We don't have the equipment to get the most out of it, but I can live with these results. That ping, though. 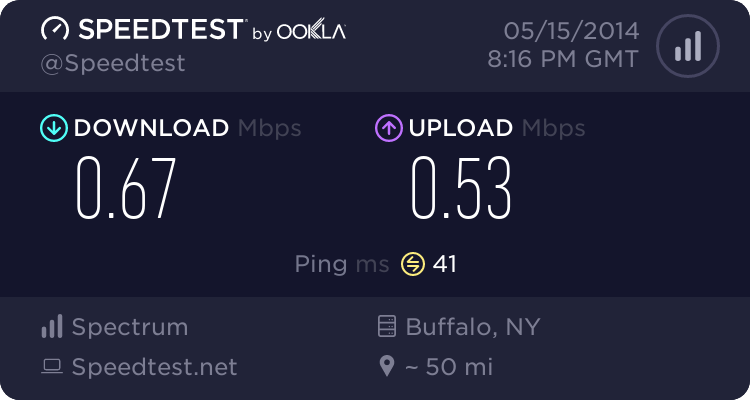 My area switched to Frontier which is supposed to be faster, lets see if that's true. And it's true but I still have the same service technically. Last edited by Magmaster12; February 5, 2015 at 07:22:01 PM. 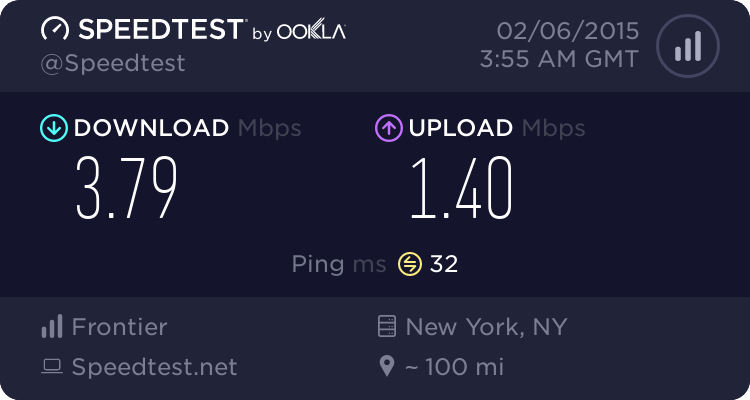 Verizon here, Speed Test below. Sometimes I do randomly get disconnected from the internet, so that's pretty lame.